A children's book written by Amarpreet Kaur Dhami, to inspire readers to courageously stand against all challenges. 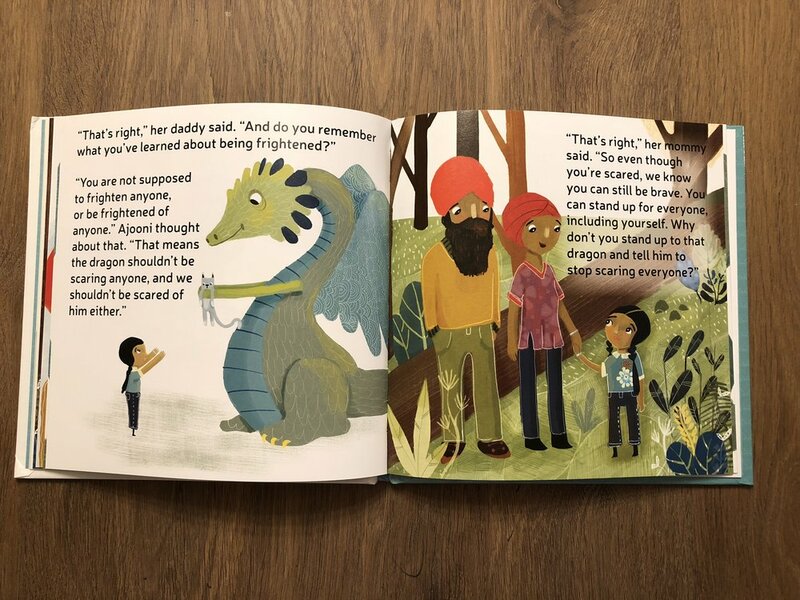 Ajooni Kaur is the bravest girl in the whole neighborhood, but then a ferocious dragon appears in the forest. Will Ajooni be able to rediscover her courage and be the bravest girl in the neighborhood again? With bright, colorful illustrations, Ajooni the Kaurageous is a great way to teach children about confidence and strength!